Vacuums are one of your go-to appliances as you strive to keep your home clear of dirt, dust, pet hair and allergens. There’s a good chance vacuuming is part of your daily or weekly routine. A 2013 global survey by AHAM member Electrolux found that 33% of respondents vacuumed 2-5 times per week, 13% vacuumed daily and 3% more than once a day. How you vacuum, not just how much you vacuum, is an important factor as you strive to conquer household dust. The various settings and features incorporated into many vacuum models, combined with the proper technique, will help you maximize your vacuum’s ability to keep your home free from dust and dirt. The features vacuums offer vary, but adjustable height, “full-bag” sensors and variable motor speed are common. All of them affect your vacuum’s performance. Adjustable height: Many models allow you to adjust the height of the vacuum as you clean different surfaces. But vacuum owners often don’t realize that a lower height setting doesn’t necessarily mean a deeper clean. “If it’s too low, it won’t clean properly,” says vacuum guru Tom Gasko, curator of the Vacuum Cleaner Museum in St. James, Missouri. So how do you know which height is right? “Recline the handle and start the vacuum in its highest position,” Gasko says. “Turn it one notch down until you hear the change in sound—it will become a deeper, throatier sound.” That sound means the brush is sweeping correctly. The team at BISSELL, an AHAM member, recommends a higher setting for thicker, plush carpets, and a lower height for low-pile carpet or bare floor. “Empty bag” indicator: A “full bag” indicator is great for telling you when it’s time to change the bag. “If that [indicator] window is three-quarters of the way full, that bag is three-quarters of the way through. If you’re vacuuming three rooms and you have a shedding dog, you might want to change the bag.” Bissell recommends emptying bagless vacuums frequently so they don’t overfill. This leads to fewer clogs and better performance. And check your brush, too: hair on the brush roll can decrease its effectiveness and cause stress on the vacuum’s belt. Clean the brush regularly for the best performance. When you vacuum, do pull back harder than you push? Many people naturally do. They’re unknowingly leaving dirt on the floor. Why? If your vacuum includes swivel, use it to reach those tight areas and corners, BISSELL recommends. If you’re using a stick vacuum on a bare floor, it’s also a good idea to slow down and give your vacuum enough time to remove the dirt. “People think they can get through their kitchen in less than a minute,” Gasko says. “A bare floor doesn’t mean you can push the vacuum faster.” BISSELL recommends turning off the brush roll when vacuuming hard floors so that debris don’t scatter and brushes don’t damage delicate floors. How you push the vacuum also matters. You may be using too much arm. “People will stand and make star-shaped patterns with their arm,” Gasko says. “You’re supposed to hold the vacuum in your hand with your arm not bent.” He recommends walking forward at about 12 inches per second and backing up at half that speed for maximum dirt removal. “Make two passes, one forward and back, at the proper speed. 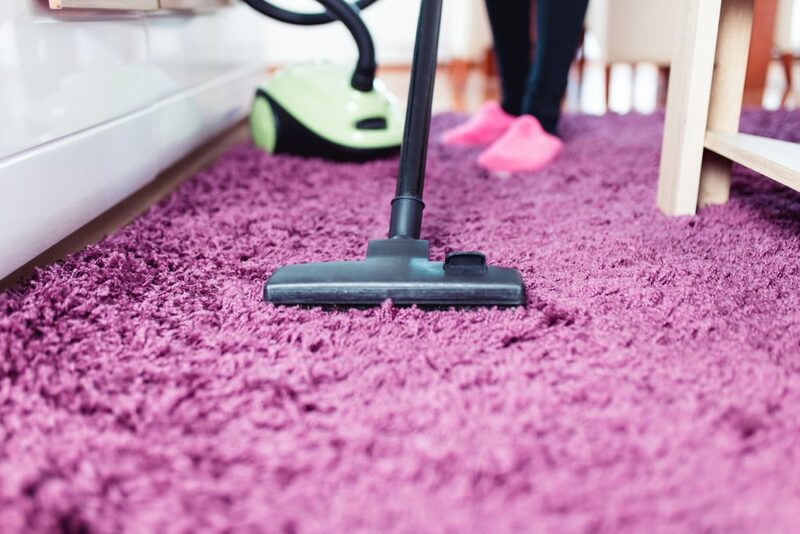 Using your shoulder and elbow is inefficient, and your carpet will be cleaner.” Don’t go too fast, and be methodical in your pace when cleaning high-traffic areas of the home, BISSELL recommends. Do you use a canister vacuum? If you tend to pull on the hose to get the canister to follow you around the room, there may be a better way. Proper technique involves wrapping the hose around the small of your back and holding it in your left hand. This will allow you to move the canister without pulling on the full length of the hose, Gasko says. Are you cleaning drapes, furniture, shelves and other higher-up areas? BISSELL suggests cleaning those first, before you vacuum the floor. That way, if dust drifts from the higher spots, you’ll only have to vacuum the floor once.